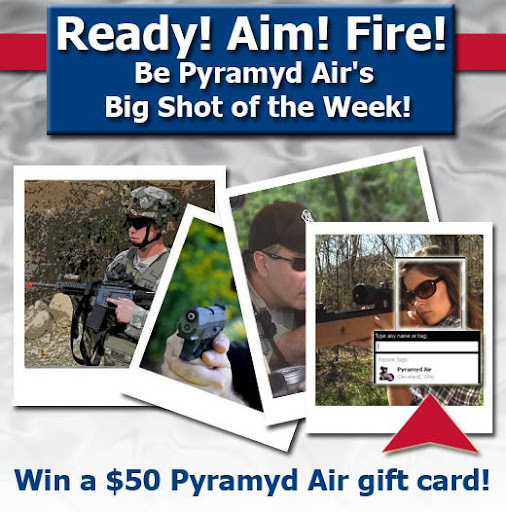 Post a pic of you & your airgun or airsoft gun on our Facebook page, & you could be our next Big Shot of the Week. Tell your friends to "like" & comment on your pic. It might help but won't be the deciding factor. Pyramyd Air will pick the winning photo every Friday. Click the link below to upload your photo to our Facebook page and get a chance to win some cash money! I've got some exciting projects lined up for next week, including but NOT limited to more new stuff from KWA, product reviews & updates and probably some feeble attempts at being clever.